We are living in an age where convenience trumps quality almost every time; commercially speaking MP3 makes all other music formats look insignificant and lossy streaming is so much bigger than its pricey lossless cousin that most people don’t know there’s an alternative. And more and more folk will pay extra for a product without wires. In a world where everything needs little more than a power connection that’s understandable.Why tether your headphones to anything if you don’t have to? Personally I’ve never been very lucky with Bluetooth, which is the ubiquitous wireless connection for audio devices: the place I review in seems to have a force field that stops it working smoothly and for a long time I was baffled that anyone would put up with such a glitchy format. Then I took the same devices to another place and found they worked seamlessly! But Bluetooth, originally compressed the signal it transmits and was limited to the lossy audio formats like MP3 and AAC, however aptX HD changed that as it offers full 24/48 resolution. This last, like AirPlay and Wi-Fi DLNA, are more likely to get a signal to its destination with the minimum of degradation. Aurender has entered the wireless speaker market with the S5W, which is supplied with a Wi-Fi transmitter dongle that is specified to be good for lossless audio up to the red book CD standard of 16-bit/44.1kHz. There are wireless audio systems on the market that claim to transmit up to 24-bit/96kHz so the Aurender’s is not a game changer. What makes this speaker really interesting is the other side of the equation: power. Although the S5W is supplied with inline power supplies and cables for each speaker there is also a large aperture in the back of each speaker that will accept a rechargeable battery. I have to admit I was a bit baffled when I opened one of the boxes and found two batteries for a cordless drill and a charger to match, but then I opened the speaker box and made the connection. The 18V Bosch power tool Li-Ion batteries come supplied with this loudspeaker, but additional batteries and charges can be purchased separately, albeit not from many sources in the UK (they are more common in the US); you can get two additional Bosch batteries and a charger for £163 plus carriage. This unusual approach makes the S5W a truly wireless speaker which is a major bonus for installation and portability: the only drawback is that you need to remember to charge the batteries every so often. Aurender claims up to 50 hours of battery operation but that will depend entirely on how loud you play them; more output means more power usage. There’s a small light on each speaker that turns red if charging is required, it blinks green when disconnected or remains solid green in operation. 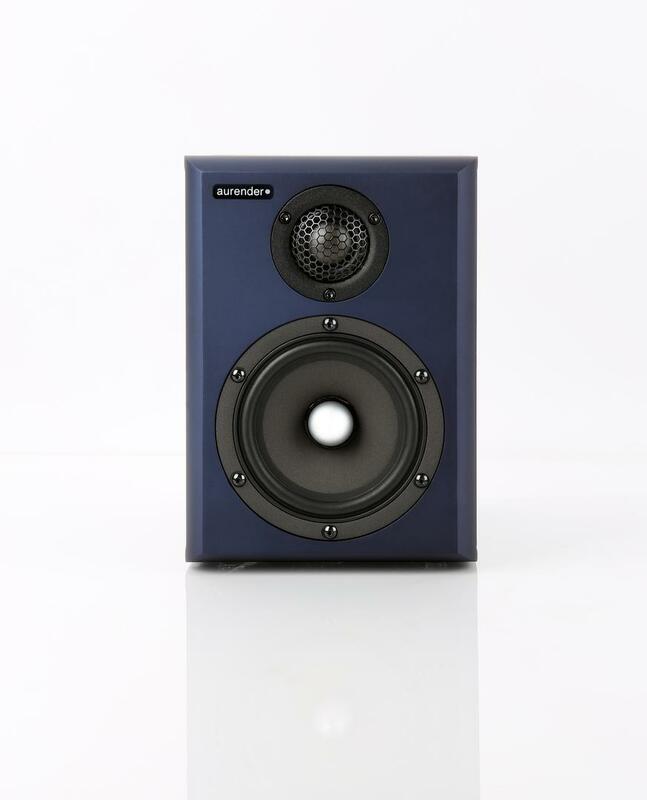 The speaker itself has an aluminium cabinet that comes in a variety of anodised finishes. It’s a small but chunky bass reflex design with a rear firing port and a Wi-Fi antenna on the back. The main driver is described as being a four and a half inch (114mm) model but I’m guessing that’s the chassis because the cone is no more than 75mm (three inches) in diameter. It’s a SEAS driver and combines with a ScanSpeak soft dome tweeter. Each driver has its own 50 Watt amplifier onboard and the two are paired by a digital crossover with a 2kHz crossover point. One can presume that the power amps are Class D types for the sake of battery life if nothing else. Users of this speaker will see that the two channels are marked L and R, which is worth noting during set up as channels cannot be reassigned.